Somehow I missed posting this one, but I did really enjoy working on Sherlock’s Watson. 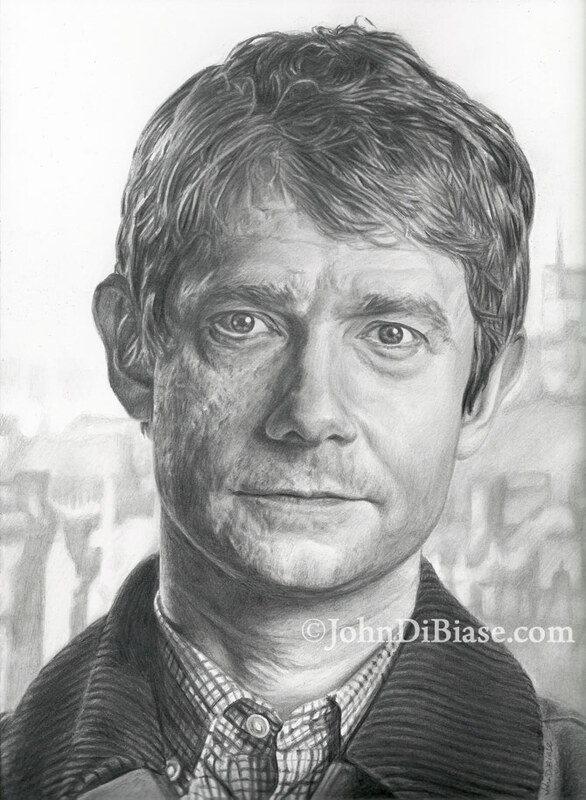 I love Martin Freeman as an actor and I originally hadn’t planned on drawing him as Watson, but after watching the show–and then drawing Benedict — I felt I needed to add Watson. For this one, I desperately tried to push myself with adding in detail to the work. I am pretty pleased with the end result.